“Those who do not learn from history are bound to repeat it”…George Santayana? A few moments ago I was discussing current events with one of my good friends. This friend is an avid reader and taught college level literature years ago. I explained to him that a lie does not have to be intentional to be a lie. I then used the unemployment rate example. I next explained that there were 2 broad categories of lies. Intentional and unintentional. A few moments later, a friend/acquaintance walked in. A chap from England who works at the university. He believed that a statement had to be intentional to be called a lie. I disagreed and pointed to a nearby dictionary. I was shocked but not surprised. Reported at Citizen Wells March 9, 2015. From Fortune.com February 4, 2015. Clearly, since the unemployment rate gives a false impression, it is a lie according to the dictionary. You have seen these quotes. 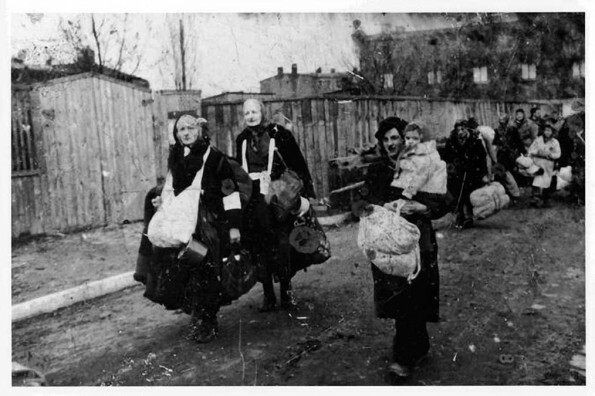 Jews in the Lodz Ghetto were told they were being resettled. They were given a false impression. Do you believe that was not a lie?